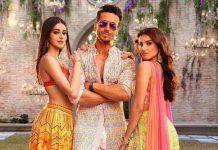 Loveyatri actors Aayush Sharma and Warina Hussain are all set to make their Bollywood debut. The actors are currently busy promoting their upcoming film and are touching various platforms for promotions. Salman Khan accompanies the duo at a few occasions. Recent reports have said that Aayush and Warina will accompany Salman Khan at the Weekend Ka Vaar episode on Bigg Boss. The trio will promote the film at the house of Bigg Boss and will interact with the contestants of Bigg Boss 12. The reality show is one of the most popular shows on TV and the stars of Loveyatri are trying their best to bank on the success of the show. Aayush and Warina will be seen with Salman as he roasts the contestants of the show during a weekend episode. The episode is expected to be aired this weekend and is expected to have some great moments between the three. The film has been in news for various reasons, be it for the name change or for the festival that is celebrated in the film. Loveyatri is directed by Abhiraj Minawala and is produced by Salman Khan and Salma Khan. The film is ready to be released in theatres on October 5, 2018. Loveyatri also stars Ronit Roy, Ram Kapoor and Anshuman Jha.